The "Layout" tab and status bar are two of the most useful tools in Shogun for quickly viewing your page's structure and locating elements. 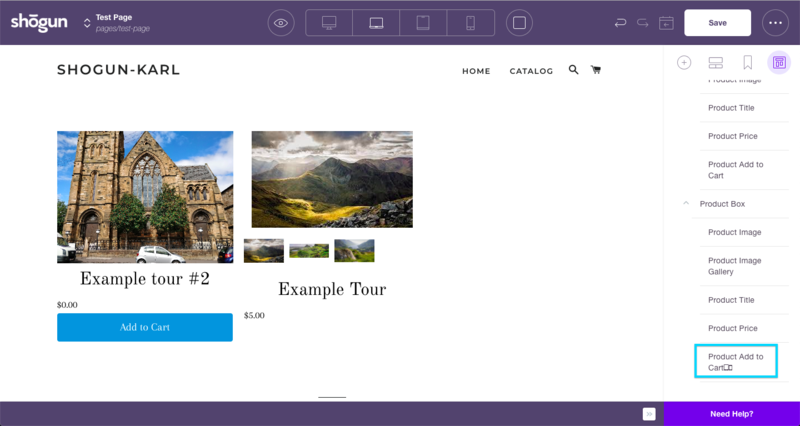 Using the "Layout" tab you can quickly and easily locate elements and view your page's structure. In the right sidebar of every page lives the "Layout" tab. To get started click "Layout." You will then see a listing of all the elements within the page. You can click the arrows to collapse entire sections and clean up the layout when you're searching for an element. When an element is selected in the editor, a status bar appears at the bottom of the screen. 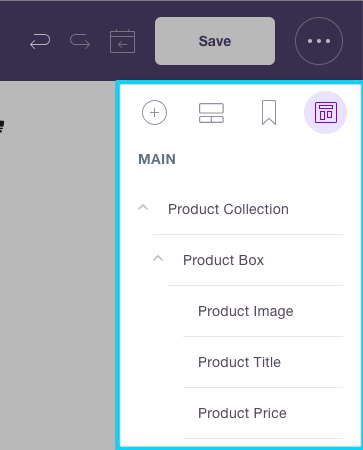 This bar makes it possible to see and select the containing elements of the selected item. By being able to view the hierarchy of elements, you can see which elements will appear on different devices, such as tablets and mobile! Just look for the screen setting icons in the sidebar. As you can see below, I have selected the Section that is not visible on desktop screen mode, but only on mobile. Once you have clicked on an element you will have it selected and can then make any changes you'd like. By familiarizing yourself with the "Layout" tab of your page you will quickly gain more control to create the page that you've dreamed of. This is just one of the many powerful tools you can use in Shogun. Let us know if you have any further questions.